Yesterday was a rollercoaster ride. 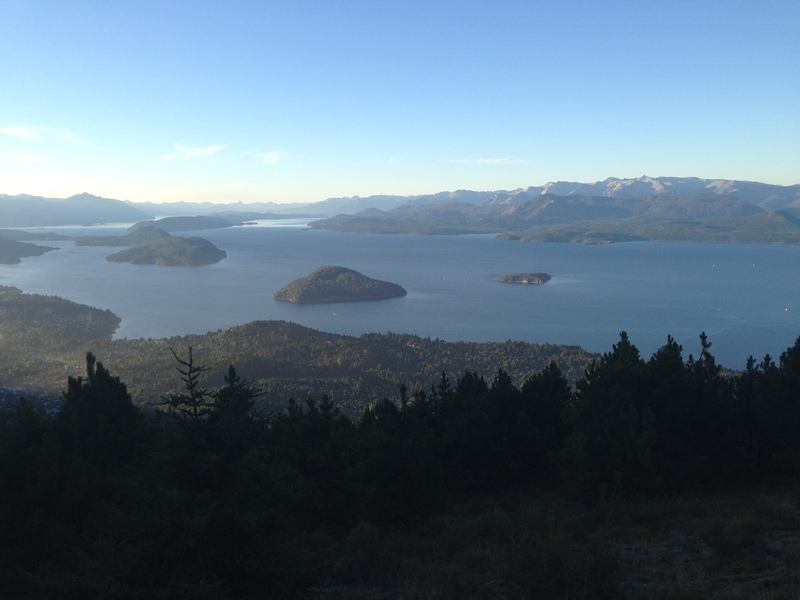 Up: we woke up early for breakfast in beautiful Bariloche, Argentina. The weather was great and we were psyched to head out to climb at a local crag–Piedras Blancas. We stopped in town for food and a guidebook. Down: Will (for some reason completely unknown to me) prefers to walk instead of busing. So we walked for at least an hour and a half straight up a mountain to get to the climbing. For the first 30 minutes I was under the impression that we were walking to a bus stop. It was pretty heartbreaking to find out that we were not. Up: the guidebook showed that the first line was a beautiful line of pockets that appeared quite tall. Down: it was shorter than Melon Patch (a highball BOULDER problem in Hueco). 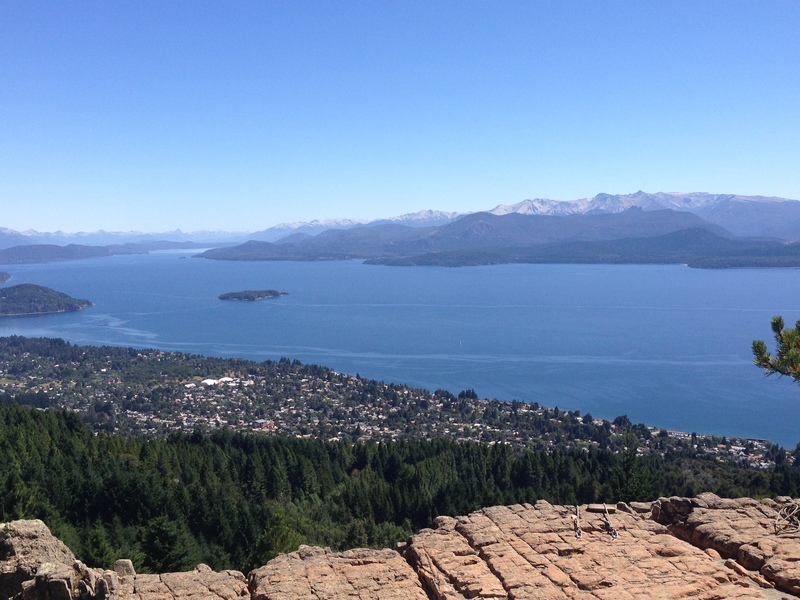 Up: we stopped at the top of the mountain to eat lunch and enjoy a gorgeous view of the town with the lake and mountains in the background. Up/down: we found some lines that we could lead. They were actually pretty fun to climb, but small rocks were breaking off. The routes were only easy 10’s, but I climbed super slowly and cautiously. Then we hiked a ways before finding the hardest climb in the crag–a short, well-protected 12d. We both projected it. The movement was pretty fun, but neither of us got a clean send. Down: It was a tricky repel, and by tricky I mean that we must have looked like we learned how to climb last week, because we went up and down from the belay station to the ground multiple times to get us both down safely. After that I pulled the rope through….only to get a knot stuck in the anchors. Up: The anchor was only 30 feet from the ground and we had a 70 meter rope. There was a 10a very close to the 12d. Basically–we could pretty safely use the other end of the rope to climb the nearby 10 and free the rope from the anchors on the 12. Down: the 10a was NOT a 10a. We couldn’t get past the fourth bolt. It was completely blank. We then did some complicated boinking, rapelling, and reclimbing to clean everything. Up: we got everything off the wall safely, and no one was there to watch us embarrass ourselves. Down: I just wrote about it on the internet. Up: On the hike out we found a Refugio (a little mountain house) that served beer and had the most amazing view of the city. Down: After a beer we hiked another 20 minutes to the teleferrico (basically a ski lift) down the mountain, but it wasn’t running. Up: some young guys gave us a ride in their car down the mountain, saving us at least another hour or so of hiking. We ended the day with ice cream, and all’s well that ends well. Sounds like some type 2 fun. Makes for a good story at least!